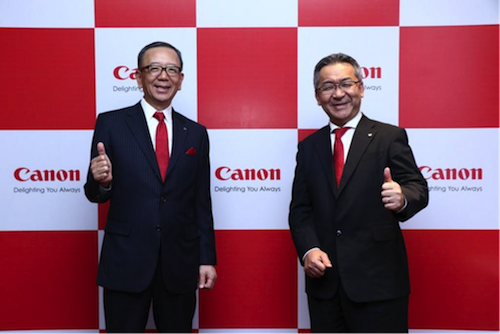 New Delhi, July 25, 2017: Expanding its products outreach, Canon India Pvt. Ltd, today introduces the third generation imageRUNNER ADVANCE series & a robust A3 color multi-function device (MFD) iRC3020 engineered to deliver outstanding business documents, superb usability and workplace productivity at an affordable price. Canon recognizes the need of advanced printing solutions for seamless business execution. Targeted towards the emerging segment of start-up communities and SME’s in India the new range of multi-function devices deliver outstanding business documents, enhancing workplace productivity. 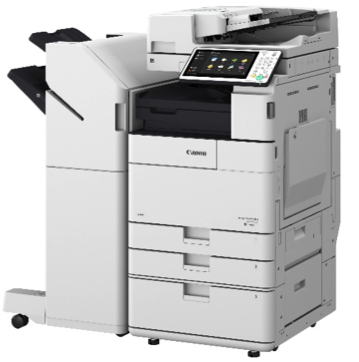 The third generation Canon imageRUNNER ADVANCE series is designed to enable businesses to boost productivity and security. 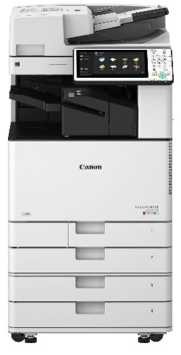 The newly launched model under the next generation printers include the iR-ADV C355i - A4 Color, iR-ADV C3500 series (3 variants), iR- ADV 4500 series (4 variants) - A3 Mono, iR-ADV C5500i Series (4 variant) - A3 Color and iR C3020 - A3 Color. Enhanced with a 10.1-inch touchscreen, the 3rd generation series offers an intuitive user experience with smartphone-like gestures such as swiping and pinching for easy navigation across the local user interface. Additionally, the Picture Login authentication provides a simplified login experience by allowing users to gain device access quickly via user-specific icons. User convenience is at the core of the third generation multifunction devices and notably, Force Hold Printing allows users to preview and edit print settings before releasing the temporarily held print jobs at the device. Unintended output options such as incorrect quantities and finishing can be rectified prior to printing, reducing paper wastage and saving users the hassle of re-submitting print jobs in an effort to increase cost and workflow efficiencies. Security is a cornerstone of every business infrastructure. Hard Disk Drive (HDD) security in a MFD is an ongoing a concern to businesses for protecting information integrity. With the new iR-ADV devices, comprehensive HDD security comes standard with features such as HDD Data Erase, HDD Password Lock and HDD Encryption which is FIPS 140-2 validated. Fleet management is made easy with the third generation of the imageRUNNER ADVANCE. Built-in with Remote Operator Software Kit, IT administrators are able to remotely assist users during troubleshooting without the need to be physically at the device. This enhances productivity and directs resource management in a more efficient manner. Content Delivery System (CDS) provides a way to automate firmware updates via eMaintenance allowing the entire device fleet to be updated in tandem. Scheduled updates can be arranged to take place during off-peak hours to further reduce interruptions. Besides user convenience, Canon strives to create a personalised user environment with ADVANCE personalised where individuals can customise workflows and preferences easily. This can range from personalising display language, initial display screen, frequently-used settings, address lists and more, enabling a one-step approach to streamlining work processes. This Advance personalization, helps to create a great user experience and to top it off, the same settings can be integrated across the third generation of iR-ADV devices via the new ADVANCE personalisation Synchronisation. Users can benefit from the same level of personalisation amongst a fleet of up to ten different devices. Businesses today desire smart office solutions that make work life simpler. The Intelligent Recovery on the 3rd generation series identifies a bystander, a passerby or an approaching user via the infrared motion sensor, and assesses their intentions. Accordingly, the device avoids unintentional recovery and remains in sleep mode or automatically recovers for added user convenience. Equipped with the Intelligent Document Feeder, the 3rd generation series is designed to effectively handle documents for the smart-offices. Common bottlenecks faced by users in the course of document digitisation, such as double-feeding of originals and scanning of blank pages can be easily resolved by Multi-sheet Detection and Skip Blank Originals respectively. The time taken to process and organise documents is consequently reduced for a more productive workplace. Businesses in pursuit of a more agile and interconnected workforce demand seamless connectivity in their work environments. The 3rd generation series comes standard with Wireless LAN support, providing users with the flexibility to print and scan wirelessly from their smart devices. Canon upholds its innovativeness with the environment in mind. Bio-based plastics are used in certain parts of the devices in the latest imageRUNNER series to foster a greener environment. The finishing options offered in the new series support the environmentally friendly ECO-staple, allowing users to bind a maximum of five sheets of paper together by means of pressure. This staple-free approach prevents resource wastage and enables easy shredding of documents. The new iR C3020 adopts the revolutionary V2 Colour Technology as with the award-winning imageRUNNER ADVANCE (iR-ADV) Generation 3 colour MFDs. The standard printer colour gamut is expanded to support a wider range of colours, attaining incredible depth and richness in the reproduction of stunning images. Coupled with an impressive 1200 x 1200 dpi print resolution, users can expect remarkably vivid and vibrant printouts for stronger impacts on business communications. The latest imageRUNNER series is now available for sale in India market.